Spaceship Earth is an awe inspiring site, as it is such a unique structure. I think it is even more majestic at night. There is just the right amount of colorful lighting to make this 180 foot tall geospere stand out against the dark backdrop of the night sky. 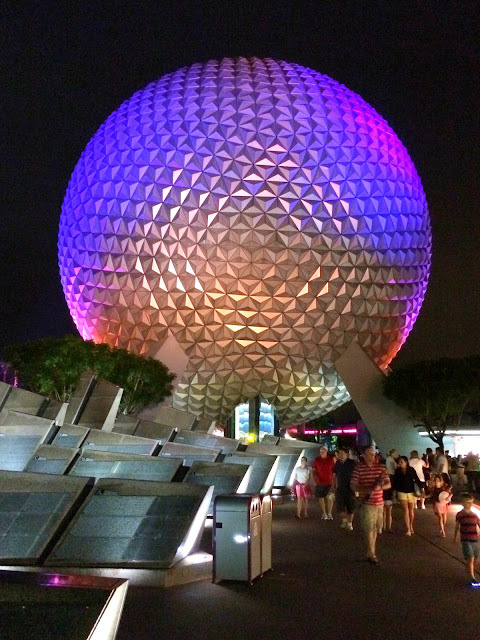 I snapped this shot on Saturday night as I was walking out of Epcot.